Uapdate 7/02/17 @ 2:00am: Critical Missing Person Ogle was located and is safe. The Dallas Police Department is seeking the public’s assistance in locating Critical Missing Person Nancy Kay Ogle. Mrs. Ogle was last seen on July 1, 2017, at about 8:00 p.m., in the 7100 block of Amy Street. 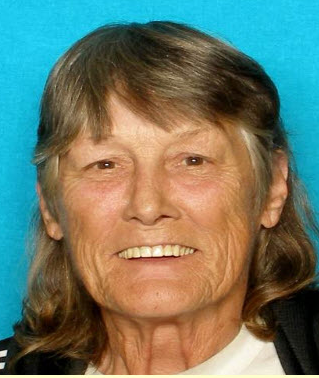 Mrs. Ogle is described as a White female 72 years old, 5’07” 110 pounds with gray/black hair and brown eyes. It is unknown what she was wearing when she left the location. Mrs. Ogle is elderly and has complications from a previous stroke she suffered. If anyone knows the whereabouts of Mrs. Ogle, please contact the Dallas Police Department’s Missing Persons Unit at (214) 671-4268 or simply call 9-1-1.